Worried about recovering data from corrupted files? Try this premium quality software to recover any corrupted image or video file. Data holds immense value for businesses and individuals alike. Therefore, it’s imperative to take measures to safeguard data from corruption and minimize the chances of data loss. According to a study by Backblaze, nearly 1 of 2 people (46%) lose their data every year. After data loss and during recovery,the chances of data corruption are significantly high due to malware or virus attacks, unsafe drive removal, power outage, and overwriting that occurs if you continue to use the driveor systemafter data loss. While there are data recovery tools to recover the lost and deleted data, none of them recovers data and also repairs corrupt files. 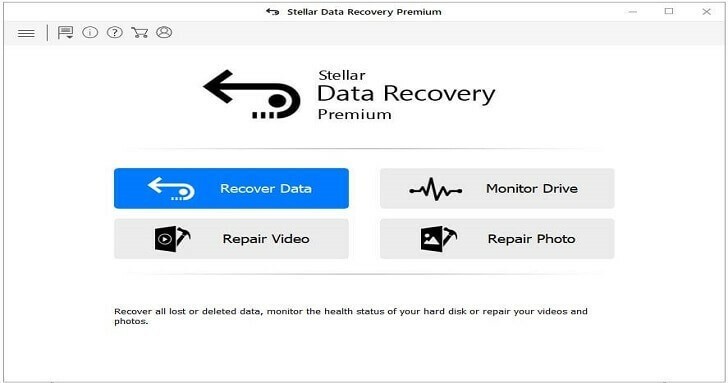 But, lately, we came across Stellar Data Recovery Premium software, which promises to recover virtually any file type and also repair corrupt photos and video files after recovery. So in this post, we are going to review – test and verify- the software’s core functionality and whether it really stands up to the promise of recovering and repairing the corrupt files. Before we move further, let us quickly recall, ‘backup is one of the best ways to safeguard data against odds of data loss which is inevitable’. Unfortunately, a significant population does not follow any backup rule. More so because backup takes time, requires efforts, and may involve cost such as getting premium subscription to cloud storage or buying an external storage drive. Also, data lost between the backup cycle can’t be recovered via backup,and that’s a major challenge when it comes to data safety. Data recovery software fill in these gaps for all such situations (eventualities). 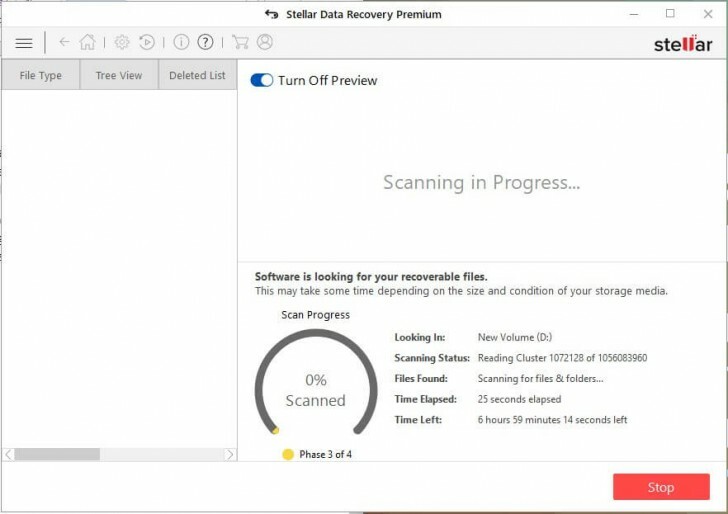 Earlier, we tested a few other popular data recovery software in the market such as EaseUS and Recover it. 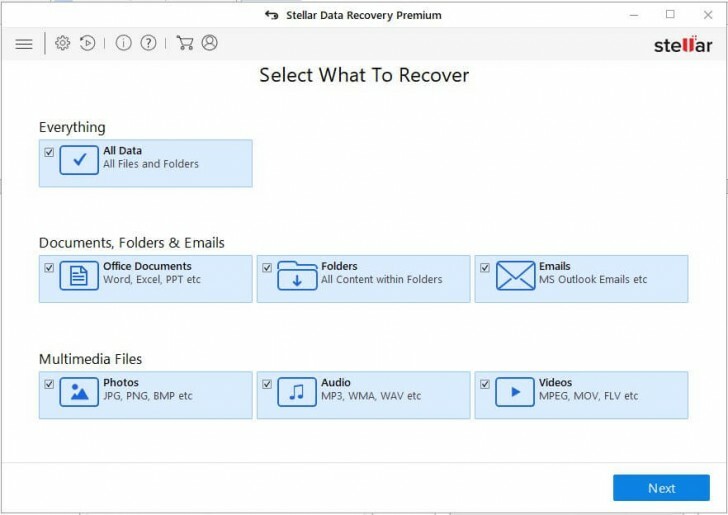 These software seem to have a limited feature set as compared to Stellar Data Recovery Premium which does data recovery, photo/video repair, and drive monitoring. The UI is also neatly put together to facilitate an easier data recovery experience. Recover Data: This is the core data recovery moduletorestore deleted files from formatted, reformatted, severely corrupt, and missing drive partitions. 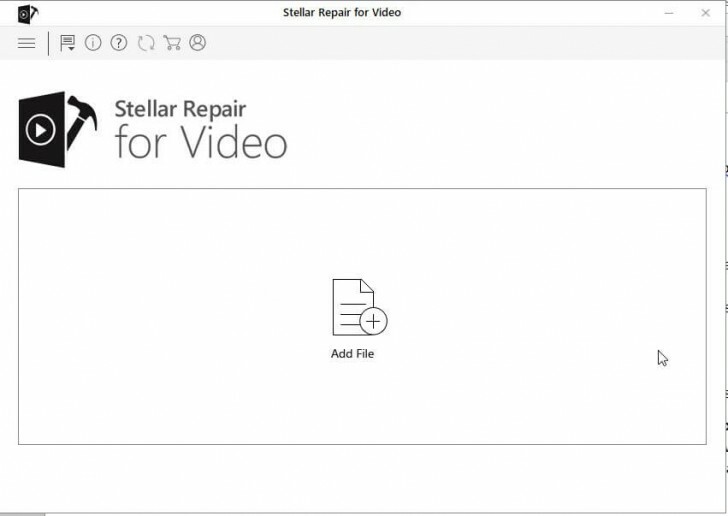 Repair Video: This module is for repairing corrupt video files. It also offers to perform advanced video repair by using sample files of the corrupt video. Repair Photo: Similar to Repair Video module, the Repair Photo module repairs corrupt photos and offers advanced repair function to fix severely corrupt image files. 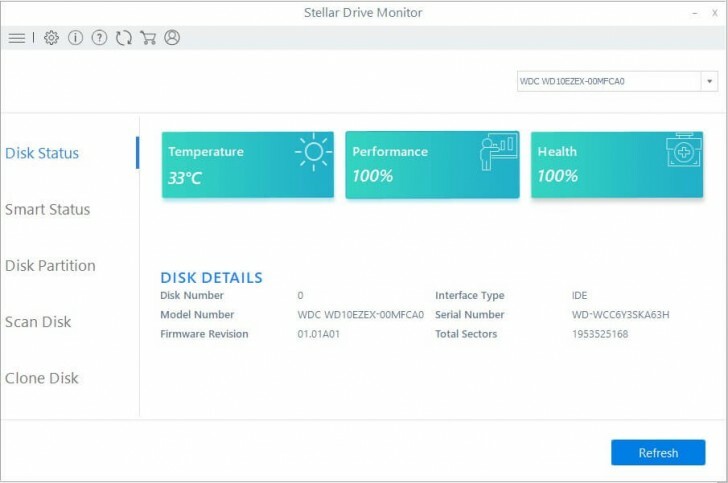 Monitor Drive: There’s a SMART drive monitor utility to monitor the attached storage drive on vital health and performance attributes. It also facilitates secure data recovery. By default, the software restores more than 300 file types such as photos, videos, documents, emails, etc. However, it also claims to recover virtually any file type with the help of sample files provided by the user (see the screenshot). So, we put it to test and found that the software does recover custom file formats but takes longer than the time spent on recovering the pre-listed (default) file formats. The software works with all SSDs, SD cards, hard drives, USB thumb drives, etc.that have NTFS, FAT (FAT16/FAT32), or exFAT file systems.To recover data from APFS, HFS, or HFS+formatted drives, you can use the Mac variant of the software. Note: To use this feature, you must provide a few sample files (min. 10) from the source. It won’t work if you use sample files generated or created from another source, software, or file converter. 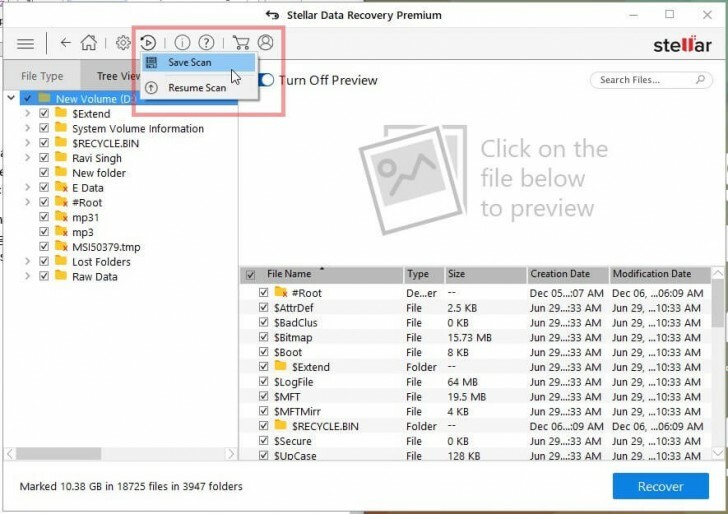 Stellar Data Recovery Premium shows file preview during and after the scan. This helps check file integrity before saving. However, there are significant chances that the recovered photo or video file may turn out to be corrupt due to various factors as discussed earlier. For such cases, the software has inbuilt Photo and Video Repair tools. These tools work individually and you can choose to run anyone at a time, from the main screen. To start, click ‘Repair Photo’ or ‘Repair Video’ from the main screen. Then, select the corrupt video(s) or photo(s) and click ‘Repair’. For severely corrupt photos and videos, the software displays an Advanced Repair option (refer screenshot below). 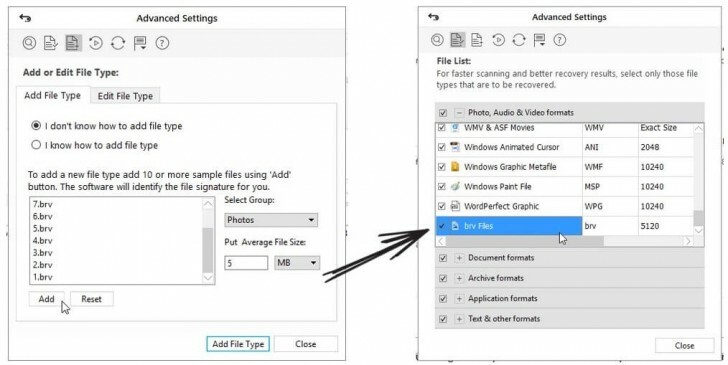 The option allows you to add sample files with the same format taken from the same device. The software then uses provided sample files to repair the severely corrupt videos and photos. We didn’t have any corrupt photos or video files to test this utility but will soon update the post when we are done testing the repair functionality. 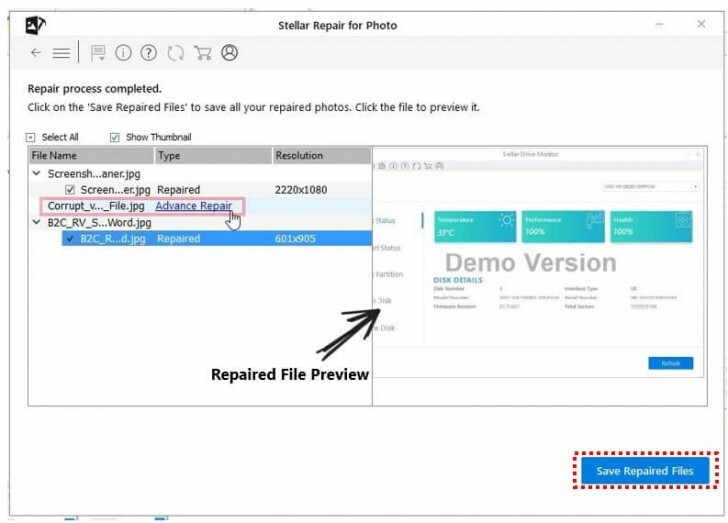 But if you have got a corrupt photo or video to repair, download the Stellar Data Recovery Premium software and try the repair features. Do let us know how it worked for you by posting comments on this post. Sometimes, due to overwriting, data may get corrupt or permanently destroyed beyond the scope of recovery. Thus, safeguarding data from data loss should be the top priority. And to help you safeguard data, the software provides a drive monitor that keeps you aware of the drive performance status along with SMART disk data. The tool warns you if the drive is dying or may fail shortly. This helps initiate the necessary measures to protect data by cloning the drive by using the inbuilt ‘Clone Disk’ feature. 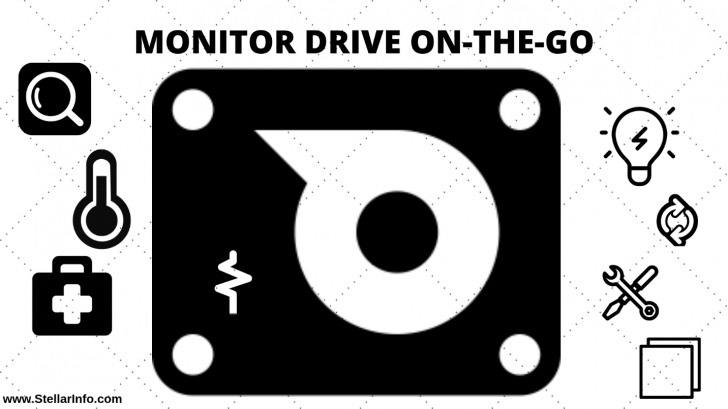 Drive Monitor is a meaningful addition to help safeguard data from imminent data loss situations due to drive failure. In our testing,a 16GB Class 10 SD card took 9 minutes to scan while a 500 GB hard drive was showing 6-10 hours (see screenshot below)—quite faster than other recovery software that we’d mentioned earlier. After 9 hours of scan, it displayed more than 400 GB of recoverable data. Now the problem that usually occurs during data recovery is low storage space. Besides, it is strongly advised to refrain from saving the entire data at once. This is because saving a large amount of data (400 GB) at once can take several hours and put more stress on the recovery drive and the drive where the data is being saved. To overcome additional load and software performance issues, the software allows you to save the scan information. This lets users resume the recovery process later and recover the data in stages. The feature is common and available in most data recovery software. Another feature called ‘Recover from Disk Image’ promises to facilitate faster recovery from a severely corrupt drive. 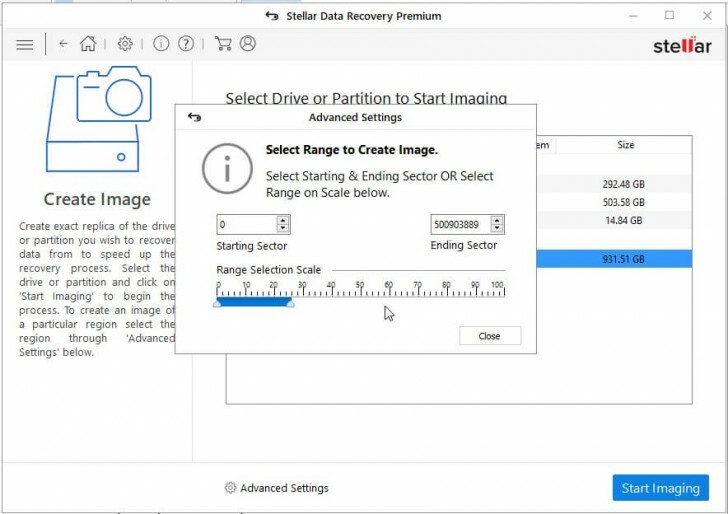 The feature enables you to create an image of an affected storage drive. You can choose the desired sectors or the part of the disk via advanced settings while creating the image. So, we created a virtual copy (image) of SD card and ran the software scan on the disk image instead of the physical drive. The time taken to create an image and scan the drive was less but not significant.Also, this requires double storage space—16 GB for the SD card image and additional 16 GB or more space to save the recovered data. Thus, it is not recommended for larger drive volumes. However, it does save the storage media from failure which is likely with repeat runs of extensive scan and recovery process. The software is free to download and try. With the trial version, you can scan the drive for lost data, repair photos, videos, and check vital hard drive stats. However, you will need a valid license key for $99 USD (1-Year subscription) to save the recovered files and repaired pictures and videos. For any help related to data recovery and data repair, you can reach Stellar Customer support and Technical support staff 24/5 via phone, email, and live chat. Response time is quick on chat and phone. Data Recovery software is essential to safeguard data against a myriad data loss situations. Free software such as Recuva work well. But when it comes to complex data loss situations such as corrupt or severely corrupt and reformatted drives, the software struggles to retrieve lost data. They also lack advanced recovery features that can make a significant difference when it comes to data recovery. We found Stellar Data Recovery Premium as a comprehensive solution for serving key data care needs including recovery,repair, and protection.It’s indeed the only data recovery software in the market that offers such an integrated and expansive set of data recovery, repair, and protection features.Most importantly, it’s easier to use and is available for both Windows and Mac. Why we need EaseUS Data Recovery Wizard?